The Discussion Board is a communication tool that may be used in your Blackboard class. An instructor adds a forum and conversations are grouped in discussion threads. Posts can be saved, viewed by the rest of the class, and may even be graded by your instructor. Click Discussion Board on the left side of the screen. To read messages from other students, click on the message subject. To respond, Click on the Reply button, Fill in the message, Scroll down and Click the Submit button. Post your own message by clicking on Add New Threads. Fill in the message, Click Submit, then OK and your message is posted. Why can't I see my thread in a discussion board? Discussion boards have both Save and Submit buttons. Save means that you plan to continue to work on the assignment. Your instructor and other students cannot see your assignment until you click Submit. You are the only one who can see your saved drafts. If you save a post to finish later, you may need to change the display to view all instead of published so that you can retrieve and modify your draft. When you have completed a thread posting, be sure to click Submit so that your instructor and other students can view it. Can I edit my post? Instructors control the setting which allows students to edit their posts. Contact your instructor if you would like to edit a post and do not see the option to do so. 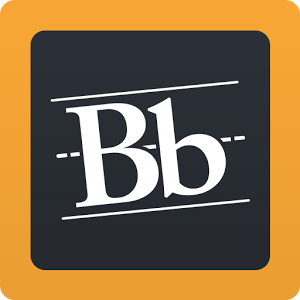 Many Blackboard tools and features use a content editor or WYSIWYG (What You See Is What You Get) box. The content editor allows you to add and format text, insert equations and hyperlinks, tables, and attach different types of files to create content. 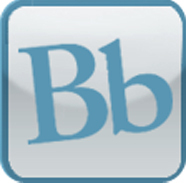 Blackboard Downtime - 6:00 to 7:00 AM CST every weekday. Do not use Blackboard during this maintenance window.